3 Cool & Easy Runway Hairstyles You Should Copy. - Lakatwalk - a fashion and lifestyle blog. 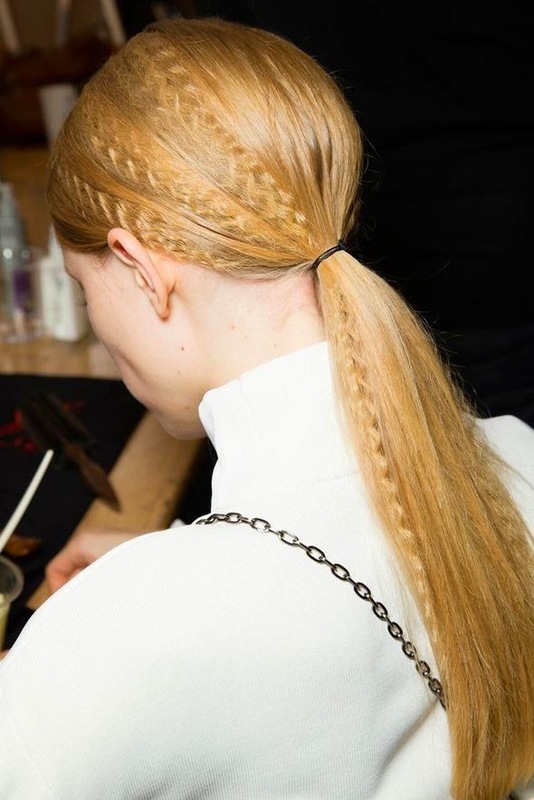 3 Cool & Easy Runway Hairstyles You Should Copy. 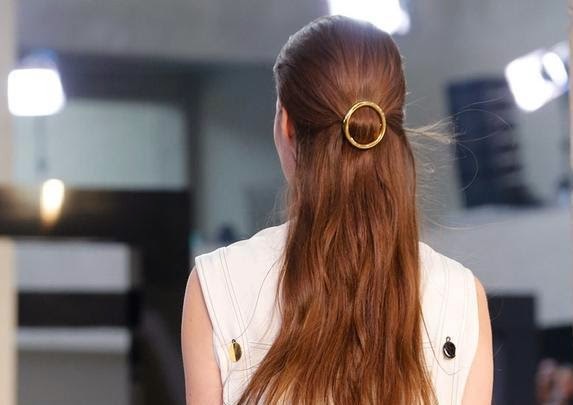 For Spring/Summer 2015. show other then the gorgeous clothing pieces Celine showed a simple, clean and sophisticated hairstyle with gold metal circle hair clip. Hair was very natural, pulled back from the face. I am sure that this clip (Celine's product for the show) will be quickly imitated by high street brands. I think it makes fabulous & easy hair look for whole year long. 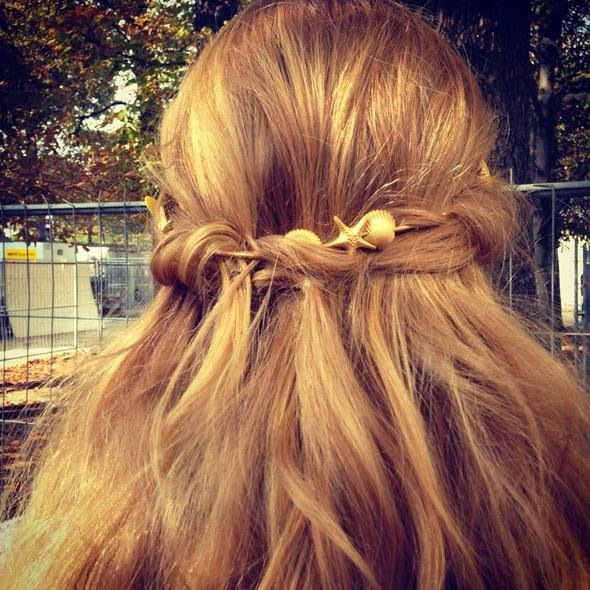 Really simple, classy and cool and definitely better option then the good old (and a bit boring) ponytail most of the girls with long hair (I'm guilty as well) end up wearing daily. Romantic, Summer reminiscent, Italy inspired hairstyle with recognizable centar parting and covered ears is how one could describe Valentino runway hairstyle. The hair strands were scrunched, dried and two strands (one from each side) tied on the back of the head in a thin ponytail. Additional hair strands around were then randomly selected one by one twisted from outside in tied strands and dropped back down to the rest of the hair and at the end decorated with gold sea star and shells hair accessories. Hair was then randomly strand by strand curled with a curling iron giving that beautiful beachy romantic look which went beautifully with collection. For Spring/Summer 2015. season Stella McCartney hair look was smooth straight hair with 80's inspired crimped strands done by Eugene Souleiman. This is a tricky hairstyle so be careful not to overdo it and have a huge disco hair (unless it's for halloween).You can make crimps by using hair crimper or you can do it for free by putting some foam in your hair, braiding very tight several thin hair strands and keep them at least over night. I like to do it right after I wash my hair and then I just keep it in ponytail for a day or two and unbraid it for third day and wear it before I wash my hair again (I usually wash it every second or third day).